Non-Disclosure Agreements have become a common way to maintain the competitive advantage of a business by protecting confidential information. They are typically used when you are exploring possible business partnerships or ventures; however, before you can engage in such a partnership or venture, you must share information with another person or business. Having an NDA protects your business’ confidential information, such as trade secrets, and gives you remedies in case that information does fall into the wrong hands. Have a written document signed before sharing confidential information so both parties understand their obligations and cannot feign ignorance. All business dealings are not confidential and cannot be subject to a non-disclosure agreement. For example, any information that is readily available to the public – like the name of your business, your business address, and the kind of business in which it engages. Generally, NDAs should cover trade secrets — such as a secret formula, recipe, or manufacturing process. Confidential information can also include an idea, a specific invention used only at that business, a protected list of your customers or clients and information relating to your business’ pricing. Commonly, it’s what sets one company apart from another – its competitive advantage. There are certain kinds of information that cannot be subject to an NDA, or if they are set forth in the NDA, the NDA may not be enforceable. For example, if the recipient of the information has prior knowledge of the information, or if the recipient gained additional information from a different source, such information cannot be deemed confidential. The content of every Non-Disclosure Agreement should be unique, and you should avoid using boilerplate language when dealing with different types of shared information. However, there are three (3) provisions that should be in every NDA. Time frame: This should include the date the NDA goes into effect, as well as how long it will remain in effect. First, the agreement can contain a specific time period, such as three years from the date signed. You can also choose an event upon which the non-disclosure agreement will expire, such as when the project is completed or when consideration of the confidential information is complete. Generally, there are no limits to how long you can stretch the conditions of the NDA, but they should be reasonably connected to the information being shared and the reason for sharing that information. Confidential information: The agreement should state exactly what information is confidential. Remember, it is in your best interest to be specific as to the information covered by the NDA. General phrases like “business practices” can be hard to define and harder still to prove they’ve been breached. So feel free to note exactly what information you don’t want disclosed. You may have to write a few paragraphs or pages, but a specific non-disclosure agreement goes a long way to protecting your information. If the NDA is not specific enough, the other side could claim ignorance about exactly what is covered and your agreement may not be enforceable. It’s a great idea to have your NDA looked over by a seasoned business attorney to make sure that you have crafted it well. They’ll be able to give you feedback and tips about how to make your non-disclosure agreement as airtight as it can be. Non-Circumvention: When necessary, NDAs also sometimes have a non-circumvention provision, which prevents the receiving party from using customer or employee information for its own benefit. For example, if you are giving the receiving party your customer list, you want to be sure your customers will remain yours – that is, the receiving party will not solicit those customers for business. Breach: If an NDA is breached, the breaching party – meaning the party that revealed confidential information — could be sued for damages, be forced to pay lost profits, and in some cases, be held in contempt of court. 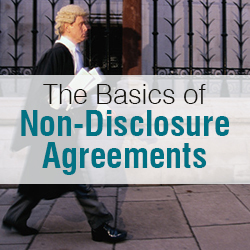 However, a good NDA should have a way to avoid drawn out litigation by providing for the ability to obtain an injunction to stop any further disclosure of confidential information, and a liquidated damages provision. A provision for liquidated damages provides incentive for the receiving party to stay true to its obligations, a specific monetary penalty against the breaching party and a way to avoid complex lawsuit questions like the amount of damages. However, the liquidated damages provision cannot be out of proportion to the information being shared or the effect of the breach on your business. 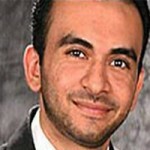 Yasir Billoo is an experienced attorney in the areas of business/commercial law, employment & labor, and civil appeals. He has valuable experience dealing with non-disclosure agreements, in addition to other complex business contracts and agreements, both in and outside the courtroom. Perfect! Exactly what we built into EasyNDA: Click, Sign, Send — Store, Find, Track. Eliminate business friction and cover your NDA bases.